The social sciences have been profoundly affected by progress in information technology that has facilitated the collection and processing of vast amounts of data related to human activity. Information technology has so far assisted less with theoretical reasoning of the sort done by Paul Samuelson, Mancur Olson, Gary Becker, James Coleman, or Roger Myerson. There are automatic algebraic simplifiers, but simplicity is often in the eye of the beholder and such tools are sparingly used by social science theorists. Computers have already been used for generating numerical examples, but approximation quality is a concern, and more thinking is always needed to appreciate the generality of the results from examples. My purpose is to introduce readers to user-friendly software that, without approximation, automates reasoning in the social sciences. The software is named "Economicreasoning," but the reasoning automated here does not necessarily involve optimization. It is about connecting assumptions with conclusions, each of which is expressed with a finite number of symbols. Applications typically feature algebraic symbols that represent real numbers (e.g., prices, or the number of votes for the Democratic candidate), or vectors of real numbers, and real-valued functions of those variables (e.g., quantity demanded as a function of prices). Assumptions of this type could come from statistical theory, or any number of social theories that are not necessarily derived from optimization. More important, reasoning can begin with purely qualitative assumptions. 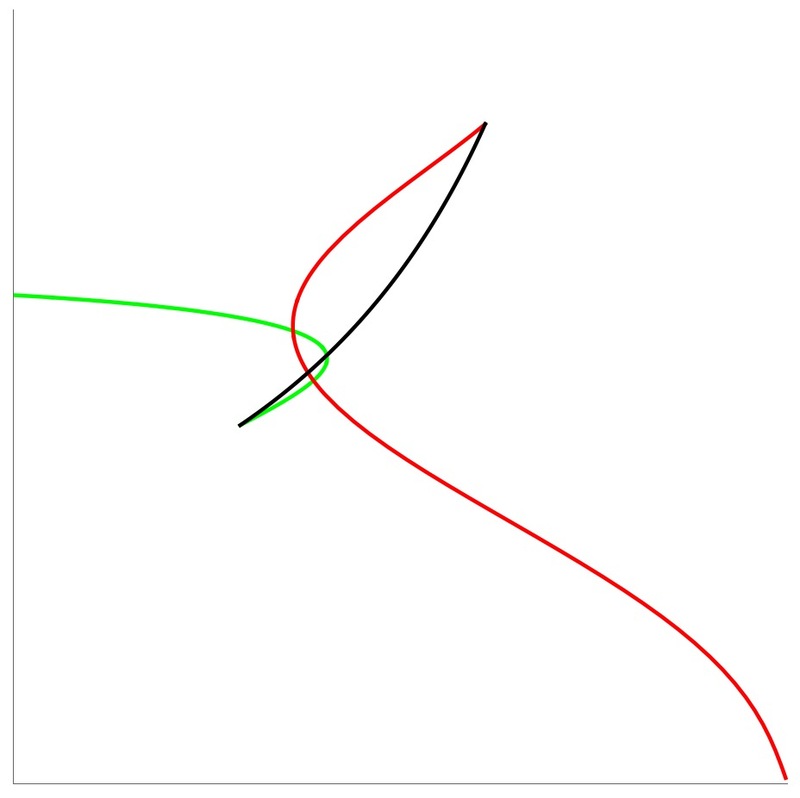 We may not be ready to assume, say, how much price reduces quantity demanded, or that the demand function takes a specific form (e.g., linear, or log-linear); we only know that the relationship is negative. Assumptions and conclusions that formerly took a social scientist hours, or even days, to connect can now be done in seconds with fewer opportunities for human errors. Indeed, the automation advantage is especially large with qualitative systems -- systems of inequalities -- as compared to equation systems. First and foremost, I encourage readers to consider the possibility that reasoning in the social sciences will someday be transformed the way that data processing was in the recent past. Much of pencil-and-paper reasoning may some day be as archaic as the mechanics of matrix inversion already is. We do not know what the automated-reasoning software of the future will be, but Economicreasoning is available today for social scientists to witness how automated reasoning really is possible. In order to use Economicreasoning, the Mathematica(r) platform is required. Mathematica runs what is now known as the Wolfram Language, which is a remarkably high-level programming language that can be augmented by users. As with spoken languages, the Wolfram language allows its users to get some results with just a few words (a.k.a., "commands" or "functions"). Economicreasoning.com is one of many Wolfram-language augmentations, known as "packages," that have been created by Mathematica users. Economicreasoning is designed to infer user meaning from context, and to offer users push-button options for analysis. As a result, it can be used without user programming, and with just a minimal familiarity with the Wolfram language. Browse dozens of examples of Automated Economic Reasoning (Mathematica not required). As of last writing, vlab had the recommended (but not imperative) Mathematica 11 but was defaulting to Mathematica 10. To avoid that, right-click a Mathematica notebook file and you will be given a choice of Mathematica version. Run Mathematica for free on a virtual desktop hosted by Stanford. Install Mathematica on your personal machine for $60-150. Further instructions and demos forthcoming. However other types of symbols, especially Booleans, can be processed by the package too. The applicable symbol type is automatically detected by the software based on context. The Keynes/Hansen/Hicksian "IS-LM" model and Becker's 1962 irrational demand model are examples from economics. Mathematica(r) is a registered trademark of Wolfram Research Inc. Economicreasoning was developed on Mathematica versions 10 and 11. More sophisticated results are possible by mastering more functions, of which a total of about 5,000, plus options therein, are available.